My search for Eggless Lemon Drizzle Cake recipe ended when I found this one. Soft, fluffy, lemony, tangy... All these adjective would very well define this yummy lemon drizzle cake. I tried it from my recently purchased cookbook. 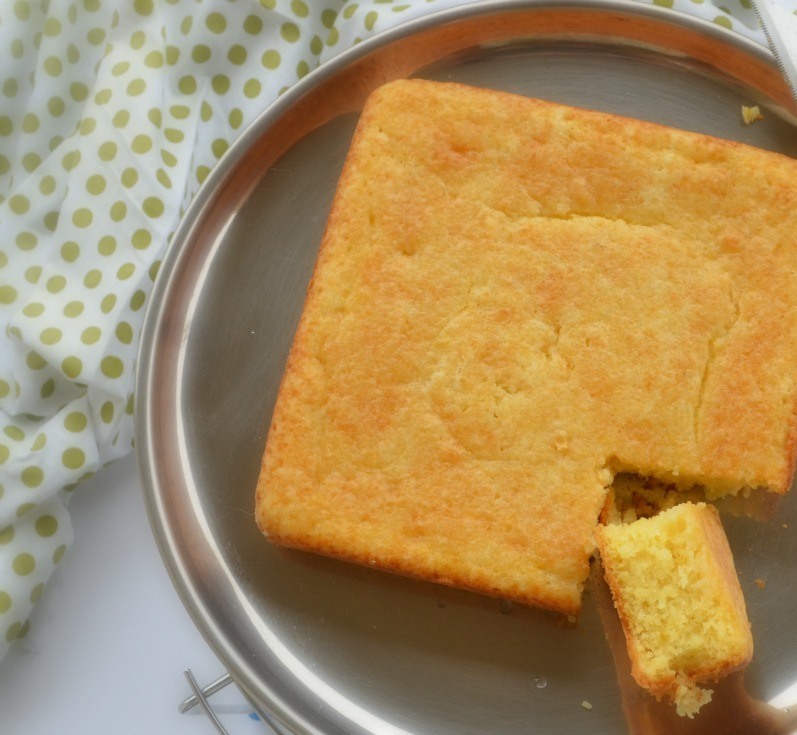 A lemon cake has been on my to try list for a long time and in fact, I have tried a couple of recipes. But, the results were not all that satisfactory. So, when I saw this recipe in Sanjeev Kapoor's Vegetarian Library Collection, I grabbed the opportunity to bake it. I baked half of the original recipe and also modified the recipe a bit. Overall, I am very happy with the results. 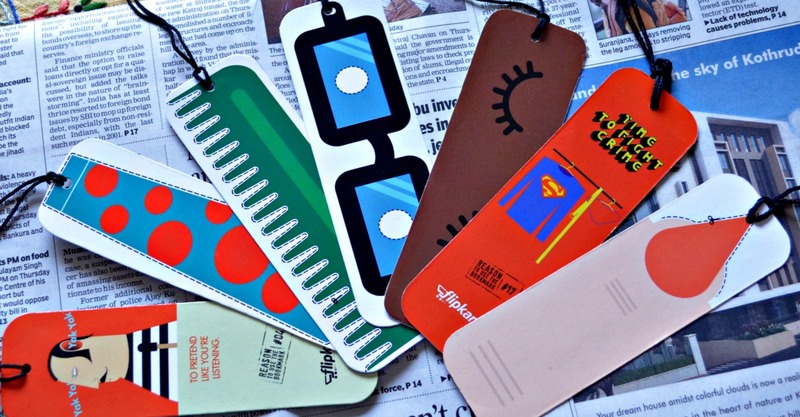 "Important reasons to use silly bookmarks"
Been reading for two days straight? Do not despair! Cut and string your new one-size-fits-all eye relaxer for instant rejuvenation. Works best under artificial light. If you are a food blogger, I am sure you would love cookbooks. I too love them and have my own mini collection. However, the number of dishes I have cooked referring them is altogether a different story. Very often, I will take all of them out, flip the pages, and bookmark quite a number of recipes. The books go back to their place and I forget about the recipes. There are times when I take inspiration from the recipes I read and come up with something on my own. But, rarely do I follow a recipe to the T.
Still, I perk up at the thought of cookbooks and I know I can never have enough of them. Recently, I bought the Vegetarian Library Collection by Sanjeev Kapoor. It is a collection of 5 books and covers all food courses. From Drinks, Soups, Snacks, Starters, Main Course, Rice, Bread, Pickles, Sweets and Desserts, this collection has it all. Any food enthusiast will love the book. 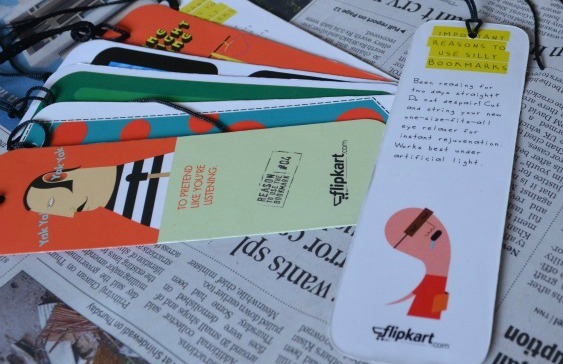 So, for the first time on Jyoti’s Pages, I am hosting a giveaway and a Food Carnival. 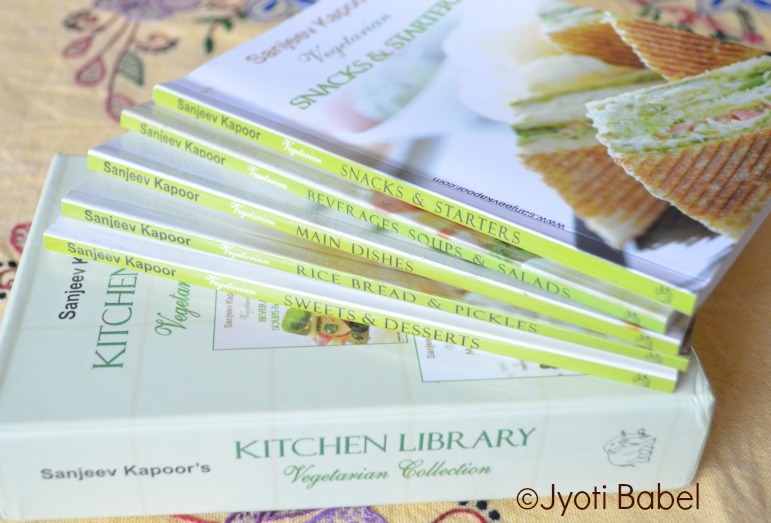 I will be giving away the Vegetarian Library Collection by Sanjeev Kapoor to a randomly chosen winner. Leave a comment on this post and follow Jyoti’s Pages. You can increase your chances of winning the giveaway by doing, one or more of the following. Leave a comment once you did so. Follow Jyoti’s Pages on Facebook. If you are already liked Jyoti’s Pages on Facebook, are following on Twitter and Pinterest or have subscribed to the RSS feed, just leave a comment letting me know and I will count your entries! This giveaway is open to all. You don't have to be a blogger to win the cookbook. But, I can ship the book to addresses in India only. The giveaway starts today and will end on 15th September 2013 and a winner will be randomly picked and announced on 16th September. Blog about a recipe. It can be any course of the meal. The choice is yours and link back your post to this page. Only new entries are allowed. No archived entries, please. The event runs from 15th July to 15th September. The recipes should be vegetarian and egg free. You don’t have to send a recipe entry to enter the giveaway. However, each entry will count for the giveaway and will increase the probability of winning. So, what are you waiting for... Get set go! I was trying to play with different shutter speeds and loved how the camera took two different pictures of the same thing! Enjoy the pictures for now and I will catch up with you later, with more pictures and details. 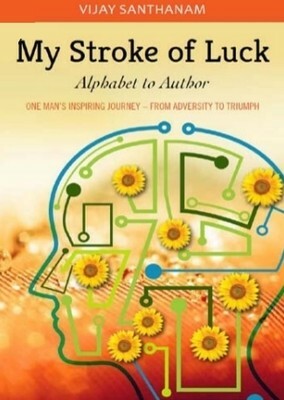 My Stroke of Luck by Vijay Santhanam is an inspirational book based on the author's real life. It shows us how despite all the adversities life throws at us, we can emerge victorious if we have the will to do so. The tagline of this book My Stroke of Luck by Vijay Santhanam is something that catches the attention of the reader at the first look. It says -Alphabet to Author - One man's inspiring journey - from adversity to triumph. I had applied for this book on blogadda to review but had no idea what it was all about. Only when I flipped the book to read the blurb, I realized it is not a fictional piece of a story but the author's real story. 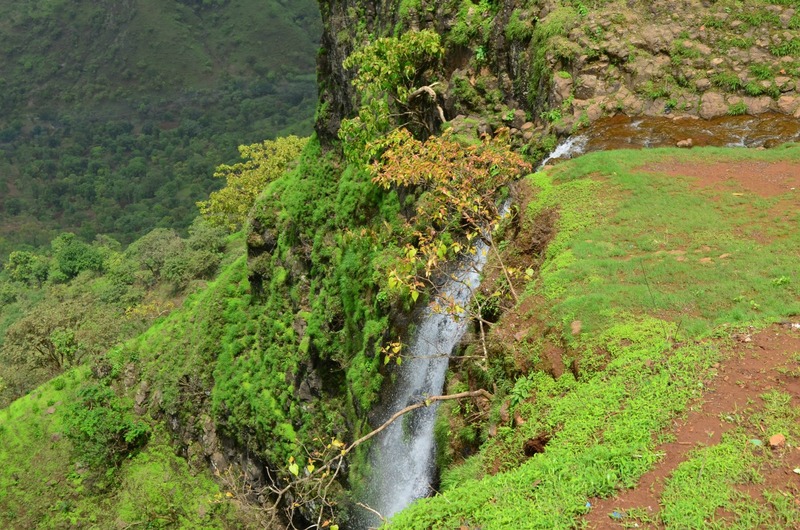 In the book, the author narrates his triumphant journey of recovering from a stroke. Yes, this is what the stroke in the title of the book signifies. 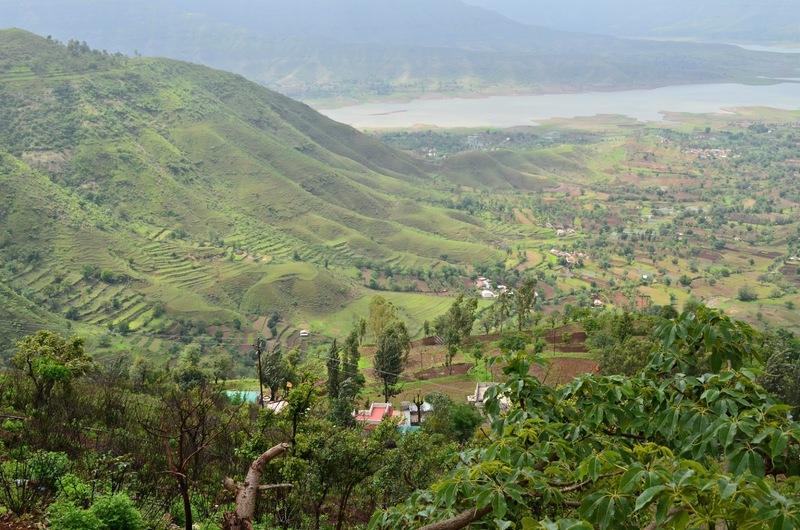 The writer has given good details about his life in general to set the context of the book. At the age of 41, he was at the peak of his health and the stroke hit him hard when he least expected it. He has given details of to what extent it affected him, how he fought against it and how eventually he took the charge of his life again.